"I trust that this issue of Advance finds you well and your businesses humming along. From all accounts and feedback your board has been receiving, it is tough out there but business in general is holding up. However, the Eastern Seaboard has been hard hit with the general slowdown and we as a chamber are trying to assist where we can. Our advocacy committee is making direct representations to the Board of Trade, Board of Investment and various Thai Ministries. Areas such as visas, customs, and investment policies are all on the table and we are working to have meaningful change. Coordinating with the Australian Embassy and other like-minded chambers we hope that the current regime will make the changes we hope for. The chamber along with other Australian focused chambers in ASEAN has published the inaugural Joint Australian Business in ASEAN booklet. This publication provides an informative insight into Australian business engagement throughout ASEAN and allows us to compare various markets. Needless to say Thailand holds up well but there are areas that need attention to allow business to thrive! We will be distributing this soon to all members. Also, the chamber recently updated and relaunched its website. We are committed to improving our communication platforms to all members so that we may better understand the challenges you face and ensure our support is well targeted. Part of our out-reach is of course our Sundowners, which have been increasing in popularity over the last few months. The various joint Sundowners were particularly well attended. There were many new attendees and thus opportunities abounded for our members. Staying with networking events, preparations for the Coffee Club AFL Grand Final are well underway. Do book your tickets soon as this year's final rounds of competition are heating up and we are all expecting the final to be a real battle, unlike last year. The format will be similar to last year as it proved to be a great success. We will have the bar, the grandstand (seated tables) and corporate boxes so you have plenty of choice. Finally, I would like to extend a warm thank you to Rochelle le Pere who will be leaving the chamber this month. Rochelle has been a great asset to the chamber and her efforts with Austcham Alumni have been particularly noteworthy. Of course we extend a thank you to all the staff at the chamber, they do work hard to ensure that Austcham and its members are well looked after. " AustCham is delighted to invite members and guests to attend a seminar presented by MBMG Group prior to September Sundowners. Paul Gambles, Co-founder and Managing Partner of MBMG Group, will give his take on Australia’s property bubble, whether its bursting will provoke a global meltdown, affecting businesses and investors. AustCham is delighted to invite members and guests to join September Sundowners at the Intercontinental Bangkok, set in the heart of the CBD a 2-minute walk from Chidlom Skytrain station. Joint Chamber Travel & Tourism Panel: Digital Marketing or Digital Disappointment? AustCham in collaboration with the AMCHAM, British, Irish, Netherlands and Singapore Thai Chambers of Commerce cordially invites you to a Joint Chambers Travel & Tourism Panel Discussion Dinner. Clean Up the World is a community based environmental campaign that inspires and empowers communities from every corner of the globe to clean up, fix up and conserve their environment. . Bangkok River Partners will work with Bangkok Metropolitan Administration, local businesses, community groups, schools, and their neighbours to tidy streets, spruce up green space and remove rubbish from the canals that run into the Chaophraya River. AustCham and the Thailand Tigers Australian Football Club are excited to announce the 2016 AFL Grand Final in Bangkok - the largest event of its kind outside of Australia and this year to be held at the Amari Watergate Bangkok on Saturday, 1st October 2016. Trading Up: Accessing Opportunities for Australian business in Asia (10th-11th November, Kuala Lumpur). The largest single gathering of Australian business Chambers and Australian business in Asia in recent years. How Will the TPP Affect Digital Trade in Asia? Exhortations on the importance of digital trade from governments, businesses and commentators are common. The Finnish government now estimates that half of all the value in the global economy will be created digitally by 2025. 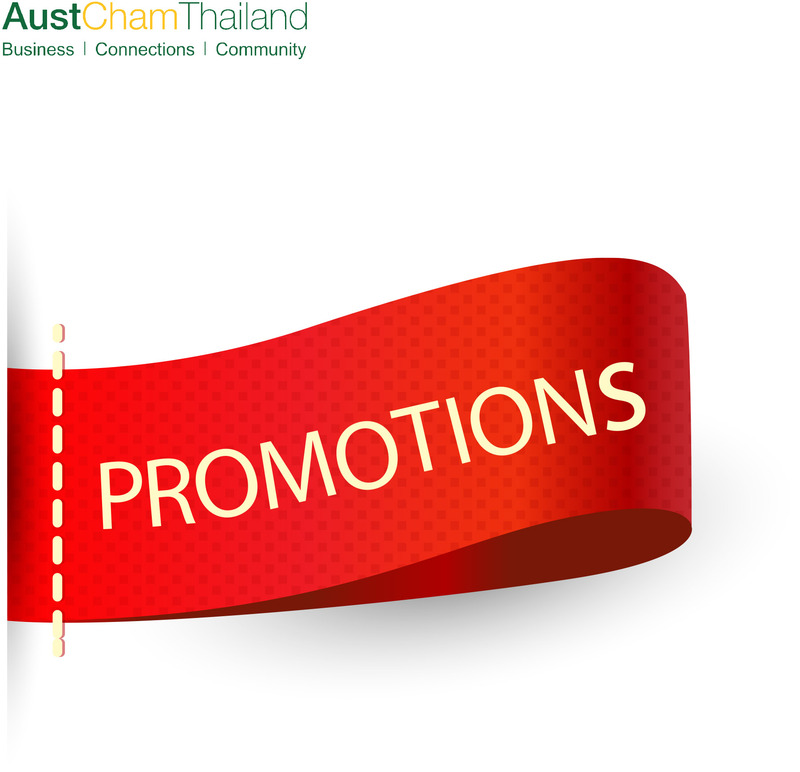 Last year the chamber conducted a business survey to gain a picture of Australian business in Thailand. This year, we’ve collaborated with the other Australian chambers of commerce and business councils from each of the ASEAN members to broaden the scope of the survey to include data from each of their countries. The survey includes a page of information specific to each country, giving a snapshot of each of the ASEAN members, as well as a regional overview. Forty-nine years ago this week on Aug 8, five countries signed a declaration in Bangkok, establishing an association aimed at promoting economic cooperation and regional stability.For nearly 25 years after Asean was founded, its membership stood at six countries -- Thailand, Indonesia, Malaysia, Singapore, the Philippines and Brunei. Milestones come in many forms. Today's is the country that provided the most new vehicles sold in Australia last month: Thailand. The Australian government has appointed Heather Reid as its new Honorary Consul resident in Koh Samui, to better serve Australians visiting the island. Melbourne is the world's most liveable city for a sixth consecutive year, according to the Economist Intelligence Unit (EIU). Austcham were extremely fortunate to have Shaun Anthony, the Australian Treasury’s Minister Counsellor in Jakarta, with responsibility for Indonesia, Malaysia, Philippines, Singapore, Thailand and Vietnam present to members at the Austcham ‘Breakfast Briefing’ on Thursday 25 August. Vejthani Hospital has been operating for 20 years and has been giving services for the International market serving them with the optimum level of care. Vejthani Hospital, considered as one of the prominent International hospitals in Bangkok, Thailand. New Member - C.P. Merchandising Co., Ltd.
Charoen Pokphand Foods Public Company Limited is the leading agro-industrial and food conglomerate in the Asia Pacific region. The Company operates in both the livestock (swine, broilers, layers, and ducks) and aquaculture (shrimp and fish) businesses. The vertically integrated businesses incorporate the manufacturing of animal feed, animal breeding and animal farming; meat processing, the manufacturing of semi-cooked meat and fully-cooked meat; food products and ready meal products, as well as the meat and food retailer and restaurant businesses. Adelphi Digital Consulting Group is an international award-winning digital consultancy. We help our clients create new and effective systems suitable for the challenges of modern business, using our agile, iterative project process.